The Arizona Section welcomed members of the Valley of the Sun (Central Arizona) student chapter. 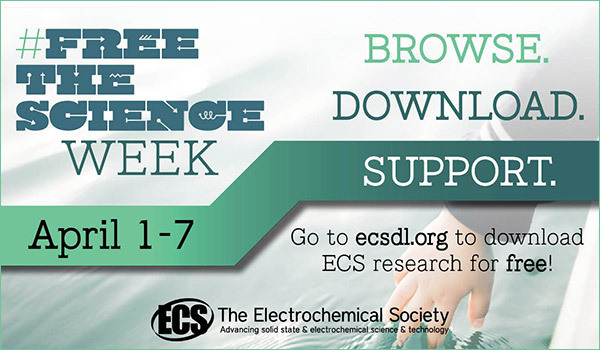 ECS has a number of student chapters, which provide a venue to learn more about electrochemical and solid-state sciences. The winter/spring meeting of the Arizona Section of ECS was held on January 26, 2015 at the University of Arizona. 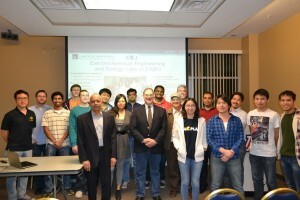 A total of twenty faculty and students from the University of Arizona and Arizona State University attended the meeting. After a brief networking reception, Professor Srini Raghavan, Vice-Chair of the Arizona Section, introduced the guest speaker of the evening, Dr. Robert Savinell, Professor of Chemical Engineering at Case Western Reserve University. Following a brief description of the activities of ECS, Dr. Savinell gave a very informative talk: Iron-Based Flow Batteries for Grid-Scale Energy Storage. 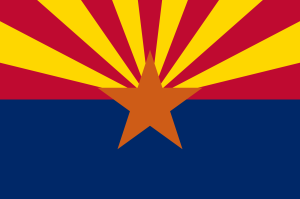 Find out more about the Arizona Section. The Arizona Section of ECS will be hosting a meeting with special guest speaker Professor Robert F. Savinell. Professor Savinell is recognized as a leading authority on electrochemical energy storage and conversion. His research has been directed at fundamental science and engineering research for electrochemical systems and novel device design, development, and optimization. Dr. Savinell has over 100 publications and seven patents in the electrochemical field. He is a past chair of ECS’s Electrolytic and Electrochemical Engineering Division, a former editor of the Journal of The Electrochemical Society, and a Fellow of ECS.